Green Marine is a brand new company looking to carve out a niche in an already crowded marketplace. Their point of differentiation? 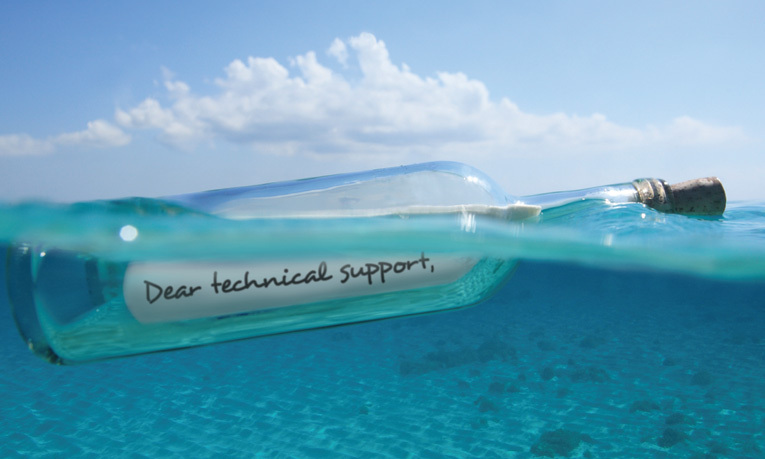 They only offer environmentally friendly marine products that are RoHS and WEEE Compliant, with energy efficient power supplies. Green Marine worked together with Uncomn Creative to form a brand that was not only smart, memorable, and high-tech in the marine marketplace, but also stood out from the sea of recent “green” brands. 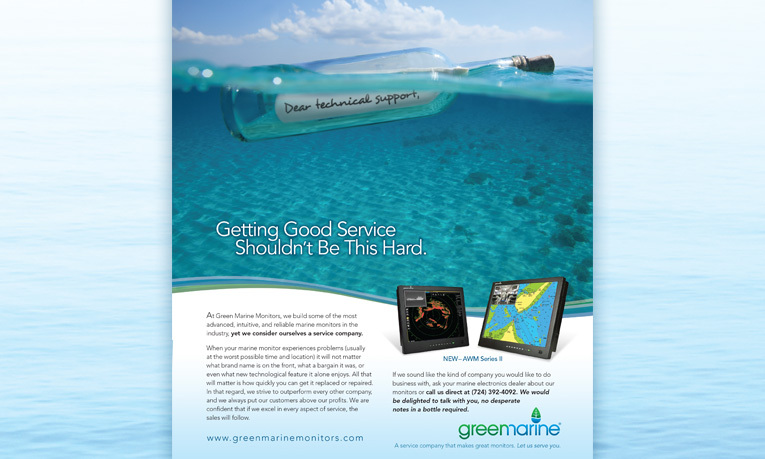 Challenge: Create a memorable ad that sets Green Marine apart for it’s level of amazing customer service. Connect on an emotional level with the customers’ familiar frustration: service/support after the sale.